I've been so frustrated with throwing away so much paper recently. I have membership cards for couple of shops and with those cards i get a bunch of magazines every month. Most of them i go through only once and then they go to paper recycle box. Some of them i don't even open. One day i thought i should try making something out of them, so that they work at least to some purpose. 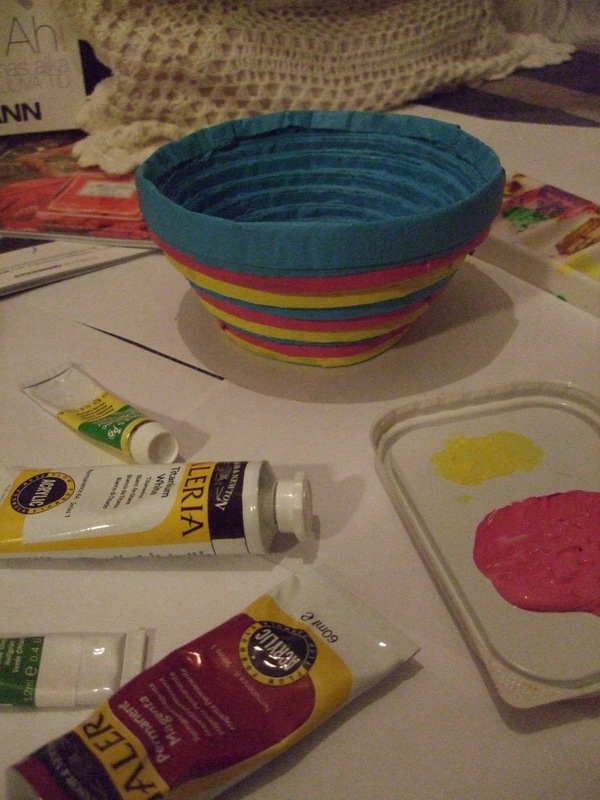 Especially that i like crafting. 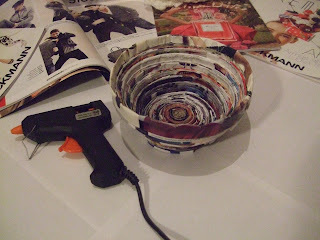 I enjoyed making it a lot and from that moment on i am not throwing away a single magazine or newspaper. I am working on more bowls like this but i'd also like to try making something else. I have couple of ways to make paper baskets in mind, but i would appreciate any other ideas coming in!